With diabetes costing the UK NHS a staggering £8.8 billion a year, finding cost effective measures to prevent type 2 diabetes is of paramount importance. Lifestyle programs can act as effective prevention methods but policy makers are faced with a decision over which type to offer. Intensive programs are highly effective but expensive whereas low intensity programs are less expensive but also less effective. New research published in BMC Medicine explores this issue by using an economic model to weigh up the options. As the population ages and becomes more overweight and sedentary, policymakers struggle with the challenge of how to prevent type 2 diabetes – the ‘lifestyle disease’ par excellence – with interventions that are both effective and affordable. Diabetes already accounts for substantial human suffering and costs the UK National Health Service £8.8 billion a year. Predicted increases in its prevalence along with severe pressure on budgets mean that prevention is a high policy priority. In the late 1990s and early 2000s, some exciting trials in China, the US, Finland and India showed type 2 diabetes could be prevented in people at high risk of developing it. Lifestyle programs delayed or prevented diabetes by up to 58% of such participants and medication (metformin) delayed or prevented it in up to 31%. Lifestyle programs involved one-to-one behavioral counseling about diet and exercise and in some cases supervised exercise sessions over 3-10 years. But such intensive interventions were costly (~£3,000-$4,000 per participant over 3 years). Since these early trials, there have been three important developments. Firstly, researchers have examined shorter duration, lower-intensity lifestyle programs. For example, in the UK, NICE recommends 16 hours of group counseling over 9-18 months and quarterly follow ups over 2 years thereafter. These programs are cheaper, costing £200-£300 per participant, but they are also less effective at delaying or preventing diabetes. Secondly, the way of identifying people who may be eligible for diabetes prevention has evolved. The blood tests used in some of the initial trials (the oral glucose tolerance test) are seldom used today, and two different blood tests (fasting blood glucose and glycated haemoglobin) are now commonly used. Each test measures a different aspect of altered glucose metabolism. Our analysis suggests that low intensity lifestyle programs, like those offered by the Healthier You program in the English NHS, are the most cost-effective. Thirdly, governments have developed national diabetes prevention programs, such as The Healthier You: National Diabetes Prevention Program in England. They are therefore faced with questions of which type of program to offer (the expensive but highly effective ‘intensive’ lifestyle programs, low-intensity but less effective lifestyle programs or medication) and which blood test should be used to identify potential participants. We built an economic model to look at the different options for diabetes prevention policy in England, and what they could mean for healthcare costs and rates of type 2 diabetes in future. Our analysis suggests that low intensity lifestyle programs, like those offered by the Healthier You program in the English NHS, are the most cost-effective. They deliver the greatest improvement in length and quality of life per pound spent and cost the least to deliver. 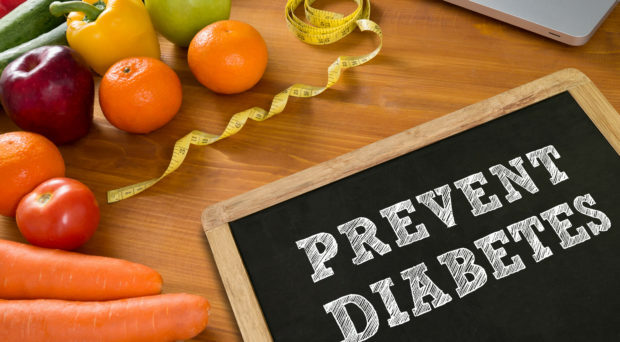 However, these programs only prevent <3.5% of new cases of type 2 diabetes over 50 years and are unlikely to reduce healthcare costs overall because the costs saved by preventing diabetes are not enough to offset the costs of the prevention program. Our work implies that while national roll out of lifestyle programs is an important part of diabetes prevention policy, additional approaches will need to be investigated or developed urgently if we are to prevent rapid increase in prevalence of the disease and its associated costs. Samantha is undertaking a DPhil in Evidence-based Health Care at the University of Oxford. Trish is a GP and Professor of Primary Care Health Sciences at the University of Oxford. She has degrees in medicine, sociology and business administration. Her wide-ranging research interests explore the interface between medicine, social sciences and health service management.